This beautiful wire name necklace is our handmade-a-day pick! It is refreshing to find a handmade wire wrap necklace where the name is actually easy to read! Plus, affordable — most of the personalized wire necklaces on Etsy are hard to read or cost wayyy too much. We spotted this necklace at Deanne Watson Jewelry and it comes in UNDER $30. This is one of the best-sellers in her shop, with one recent customer stating, “It’s just the perfect size and my name is recognizable! Shipped quickly too!! ” Love that. Great for bridesmaid gifts and holiday gifts, too! Isn’t it perfect? It’s also available in silver, if you prefer. 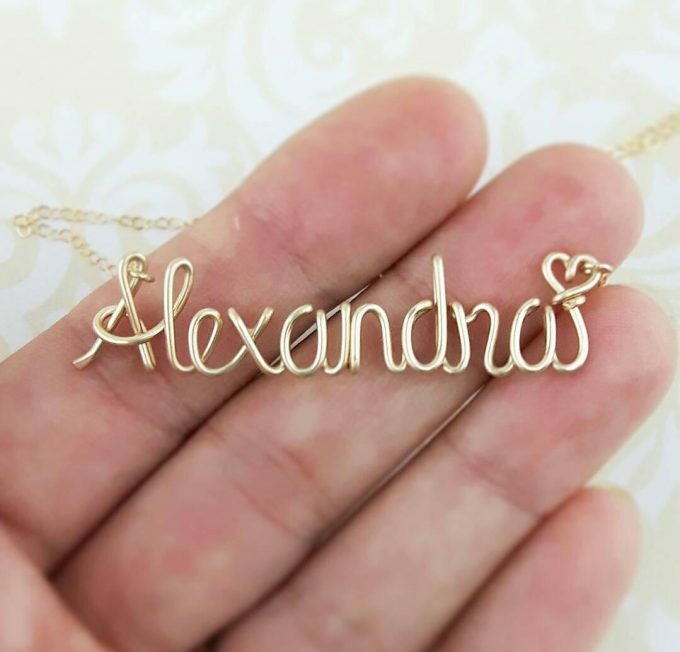 Buy your wire name necklace here! You can buy yours here or view more from the collection in the shop.